SOLD. 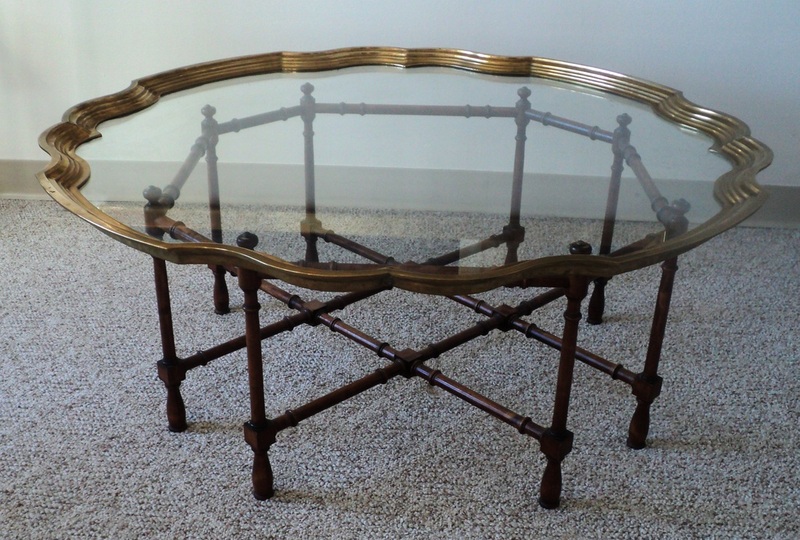 Glamorous Hollywood Regency Brass Trimmed Glass Coffee Table with Bamboo Base. 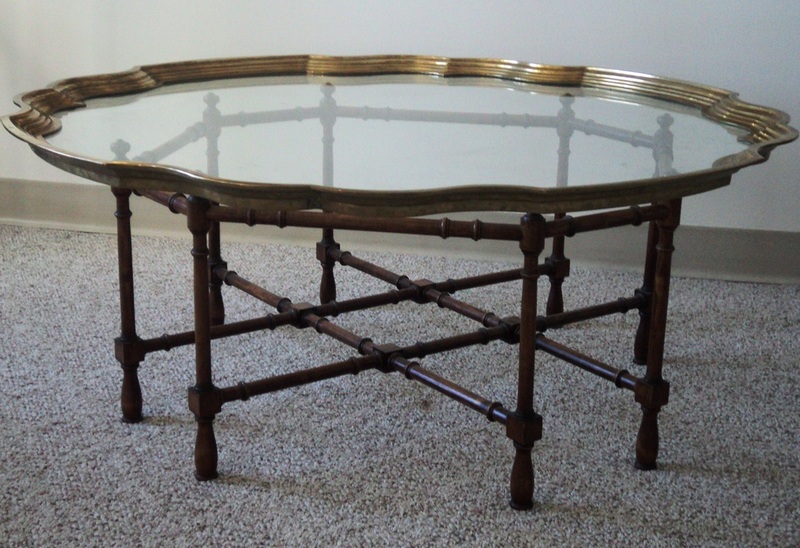 1960s/USA-Attributed to Baker Furniture Co.
Octagonal Trestle Form/Eight-Leg Wood/Bamboo Structure. 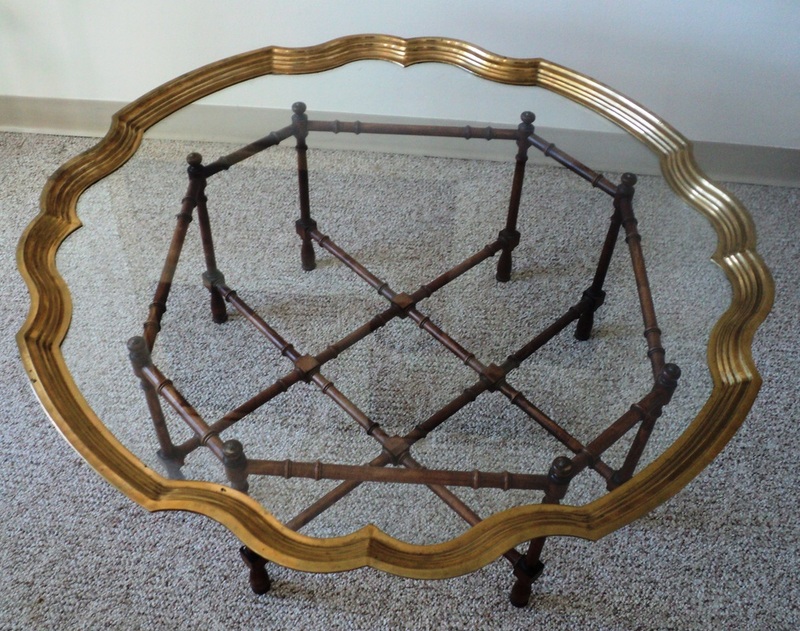 Glass & Brass Scalloped Edge/Pie Crust Tray Table Top. Excellent Vintage Condition. 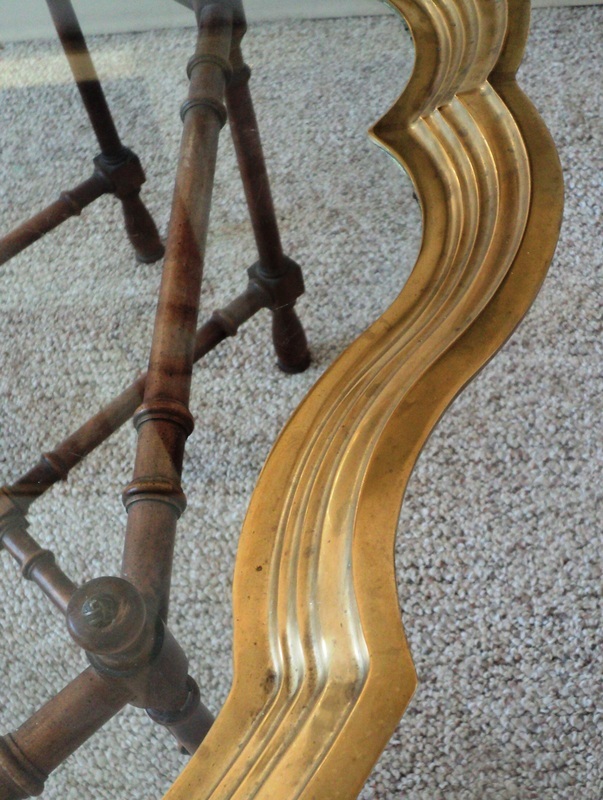 Minor Surface Wear to Brass/Wood Typical of Age, Material & Use. 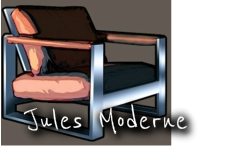 Dimensions: 42" diameter, 16.5" h. SOLD.